Illustrates the bedrock geology of England and Wales on one sheet. North sheet is also available. The map is explained in a companion booklet. Also available as a booklet and map pack. 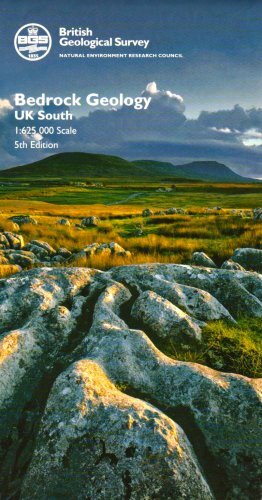 Illustrates the bedrock geology of northern England and Wales on one sheet. A perfect map for those wanting to explore the overall geology of the United Kingdom. A North sheet is also available The map is explained in a companion booklet. The booklet & folded map are also available as a pack.